No one likes discovering scuff marks on their otherwise polished dress shoes. Sometimes it can seem as though they will never come off. 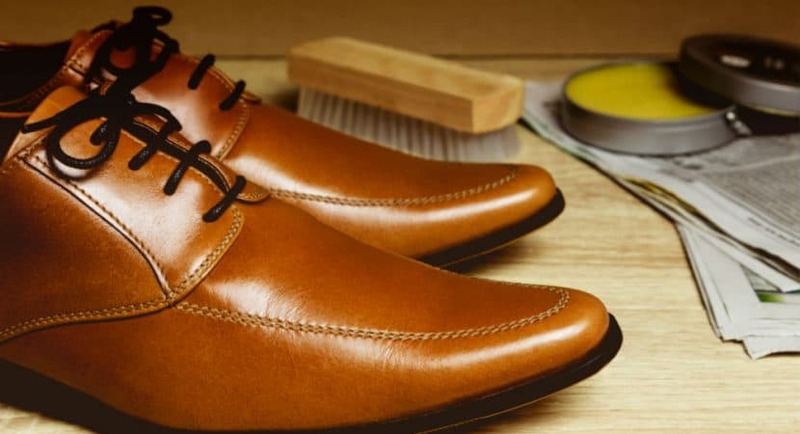 Luckily, there are several things you can try to both get rid of those unsightly scuff marks and get your shoes looking new again, as well as prevent them from happening in the future. Read on to be armed with a variety of solutions for scuff marks no matter where they come from. This may sound silly, but an eraser can be a quick and easy way to get rid of scuff marks. While it is known to work best for suede shoes, it can also be an option for both leather and faux-leather shoes. For this, you can use a pencil eraser or a larger option. All you need to do is rub the eraser over the mark carefully. Make sure to avoid being too rough, as it can damage the material of the shoe itself. Afterward, you can brush away the eraser bits. For this option, you may want to buy a cheap toothbrush or use an old one that you can throw away afterward. Place just a small bit of toothpaste onto the brush and use it to scrub the scuff marks. You will need to use a small amount of water to help the paste create a foam. Continue working in small circles until the scuff is gone. Once your shoe is looking like new again, you can wipe the toothpaste off using a damp cloth. Lastly, allow your shoe to dry and it will be ready for the next time you need to wear it. Another option for leather or faux-leather shoes specifically is nail polish remover. Before you get to work, you’ll want to make sure that the remover you use is a non-acetone version to avoid doing damage to your shoes. Once you’re ready, grab a cotton ball and place some of the nail polish remover onto it. Then rub the cotton ball onto your shoe until the mark has disappeared. When the mark is gone, you can dry the shoe or just set it aside and it will be able to dry on its own. These are typically a product you can easily find in just about any store that carries shoes. They are also something that you can keep with you to use more quickly if future scuffs should happen, as they come in a neat packet. Just rub the wipe on the scuff mark for as long as needed to get rid of the mark. Often times, these can be very helpful in getting rid of those inconvenient marks. If you find it doesn’t quite work, don’t worry, there are other things you can try out in order to get your shoes scuff-free again. If wipes aren’t powerful enough or just aren’t your style, there are other options that you can find in a shoe store. There are sprays and other items that are designed specifically for the materials that your shoes are made from, making them highly efficient. With a spray option, for example, you can simply spray the product into your shoe and rub it in using a soft cloth, cleaning away the scuff marks. Just make sure you get the product that will work best for your specific shoes, that way you can get quick and easy results. Magic Erasers are simply that, magic. With just the addition of water, they can scrub counters, walls, and many more surfaces leaving them sparkling clean. The same is also true for your shoes as well. To get the best results, this is best used on shoe materials like suede, leather, and canvas. To get this to work, all you need to do is dampen a magic eraser and wring it out so that it isn’t filled with water. Then rub it gently on the scuff marks to remove them. As with the regular eraser, make sure you aren’t too rough and just keep working until the mark is gone. Shoe polish can help by covering up the mark more so than erasing it. This can be a good option if you have a mark that just won’t scrub away. The most important aspect is to make sure you get the same exact color as your shoe material. Once you have the polish, you can rub it over the scuff mark with a lint-free cloth. Make sure you get it placed evenly over the surface and then wait for it to dry. If you have any polish left, save it for the next time you may need it. One of the best ways to avoid getting scuff marks is to prevent them. If you can, keep another pair of shoes that you can wear when you’re going into an area where scuffs are more likely to occur. If that isn’t an option, then you can find protective products in shoe stores that can help make your shoes less likely to receive scuff marks. These kinds of things can go a long way to keep your shoes safe so that you don’t have to worry about fixing scuff marks as often. Overall, there are a number of ways that you can prevent, remove, and cover scuff marks. Because of that, you won’t have to worry that your shoes are ruined if you should notice such a mark on them. Many of the methods you can try out even use everyday things you might find in your home. Otherwise, there are also plenty of products made specifically for your shoes, which you can find at shoe stores all over. From protective products to shoe wipes, sprays and polishes, there are so many options. So the next time you notice a scuff on your dress shoe, take a deep breath and remember you have options.